Colin Stephenson Design has worked with the Neolith marketing team to develop an advertising campaign that includes the design of a series of print adverts placed in the main home and architecture magazines. 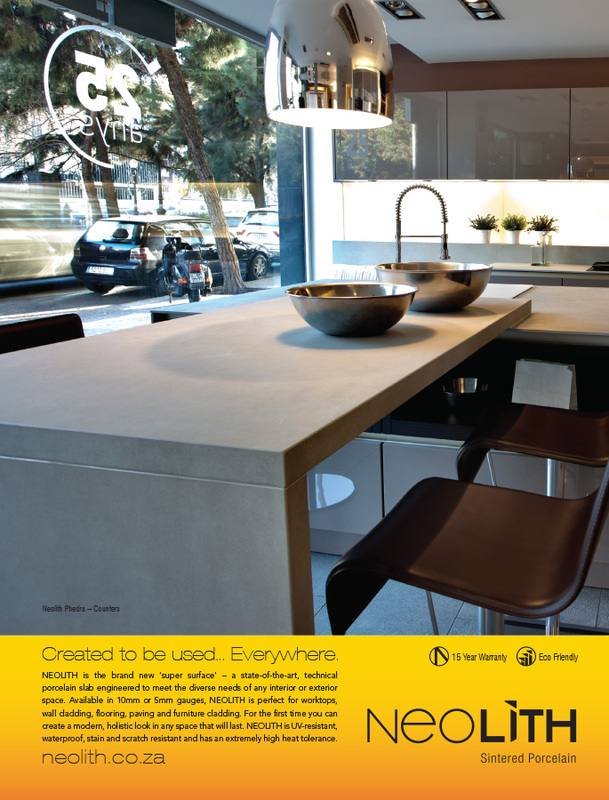 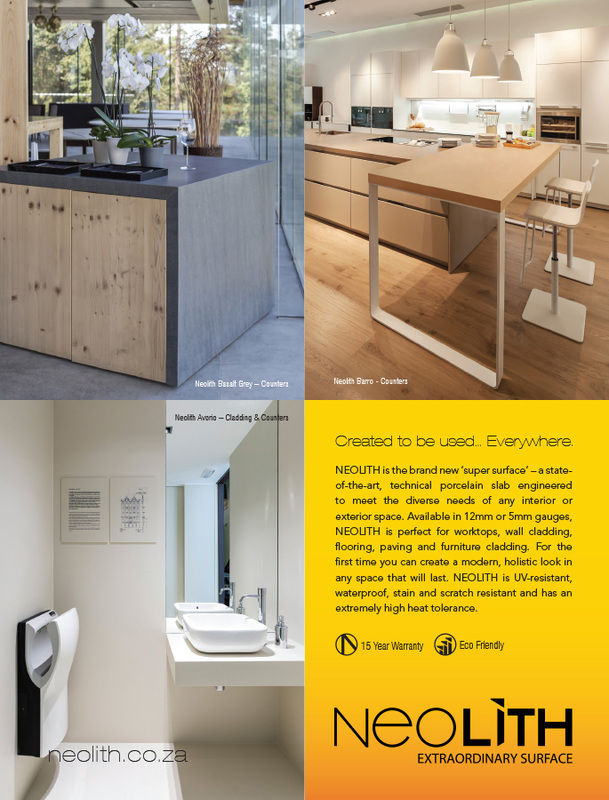 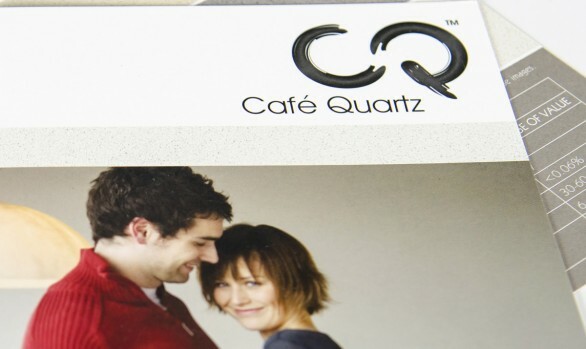 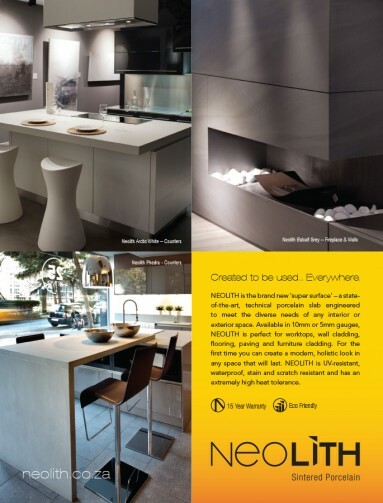 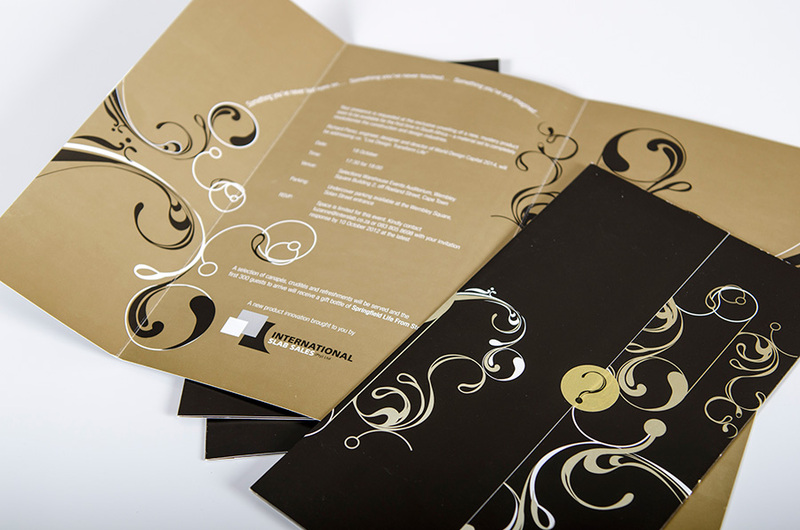 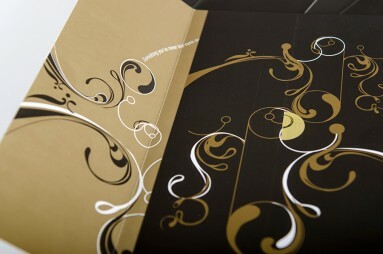 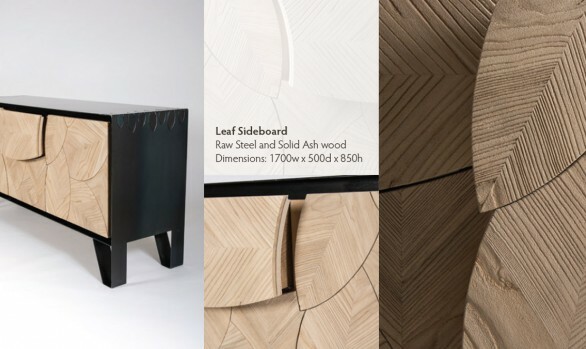 The advert design focuses on the use of the surfaces in home & commercial spaces. 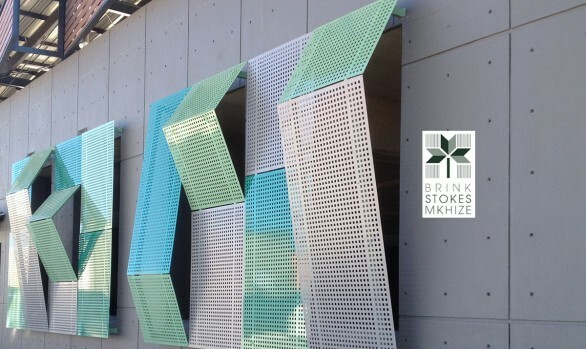 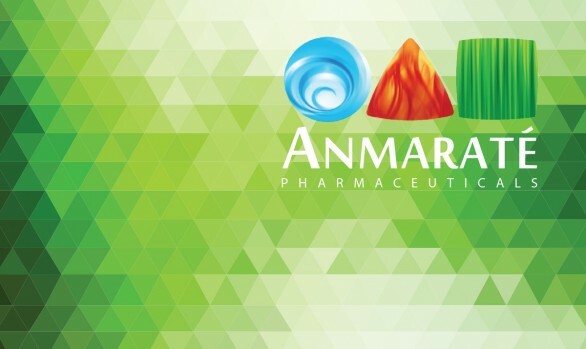 The graphic design of the advertising also needs to cover the architectural uses of the surface. 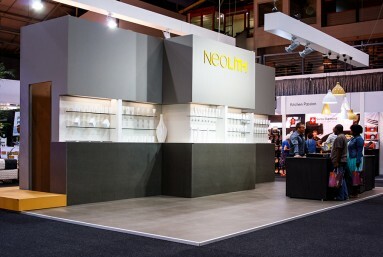 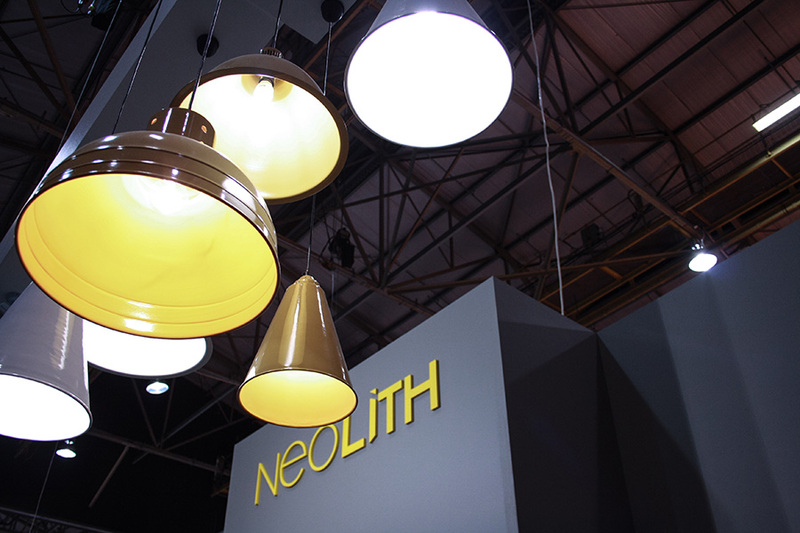 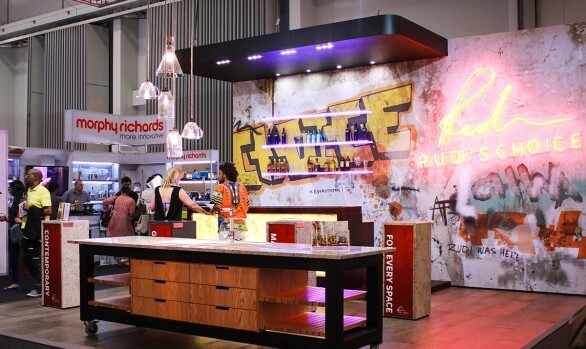 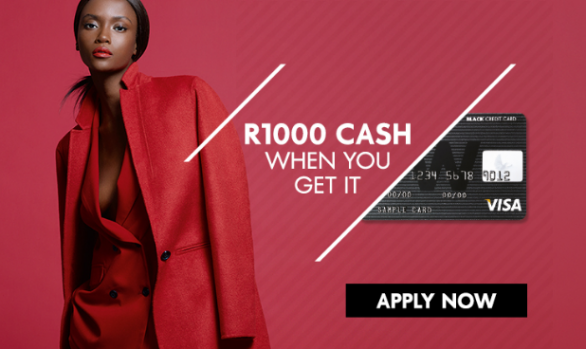 A strong use of application photography within the advertising campaign and a clear graphic design style have been the approach used to establish the Neolith brand in the South African market place. 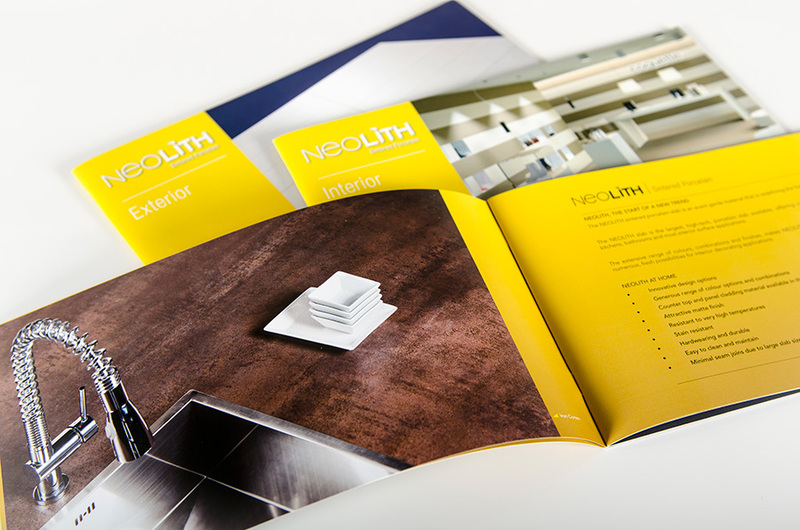 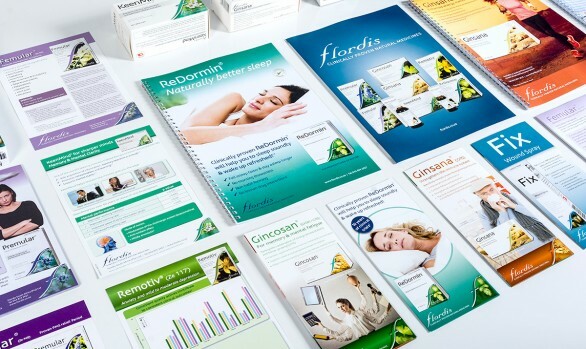 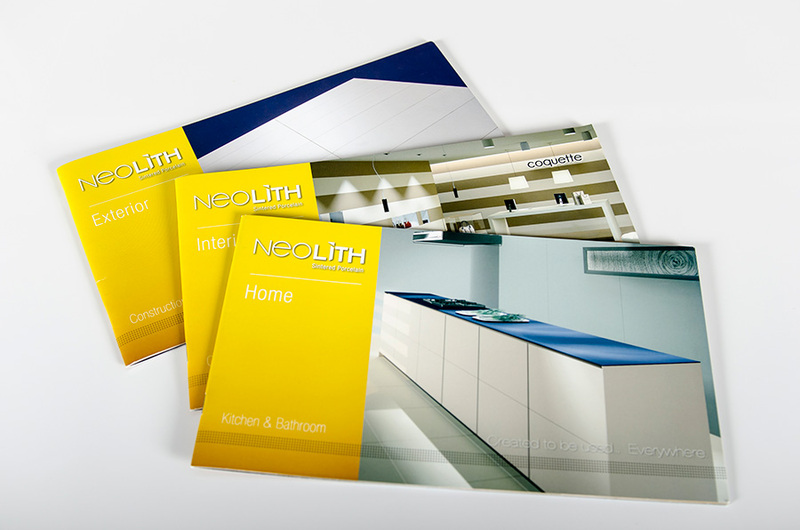 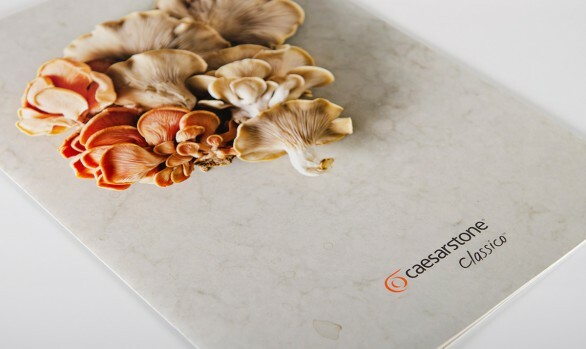 The brand management work Colin Stephenson has developed for Neolith has included branding design across print graphic design, including advertising, brochure design and technical manual design as well as many other applications. 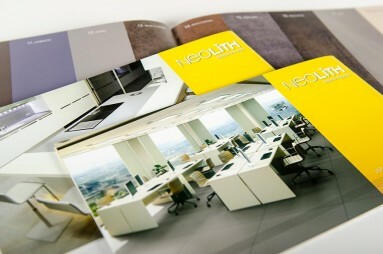 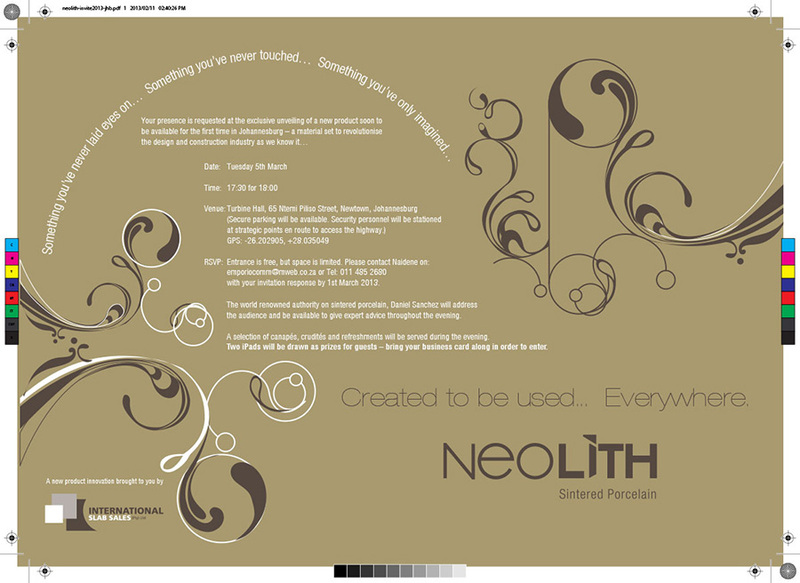 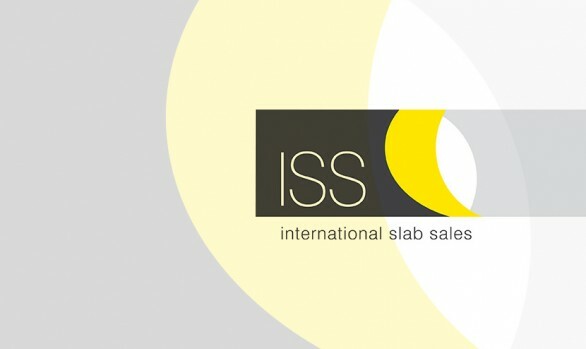 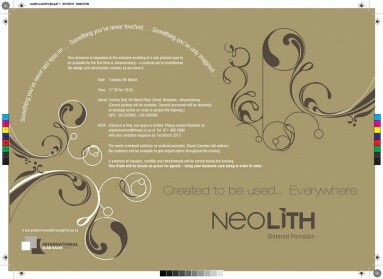 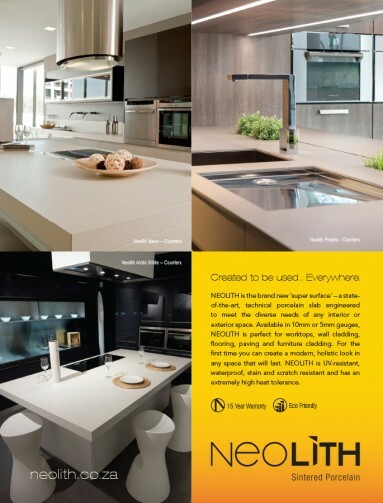 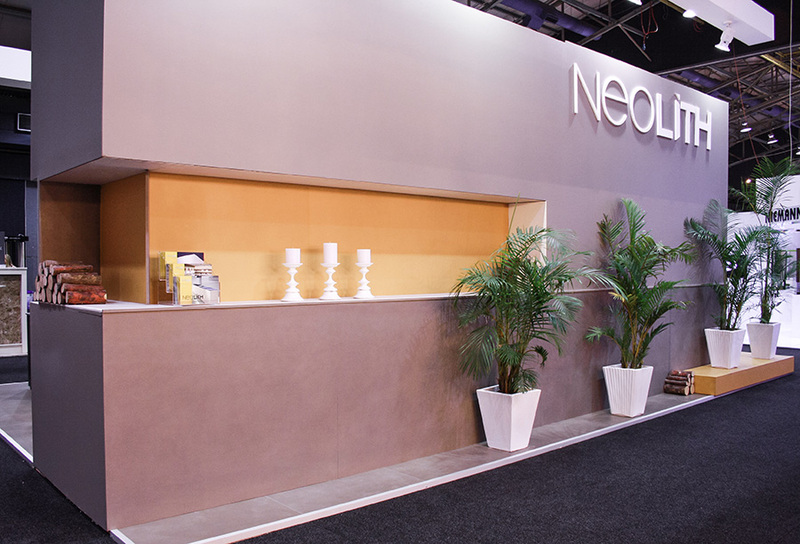 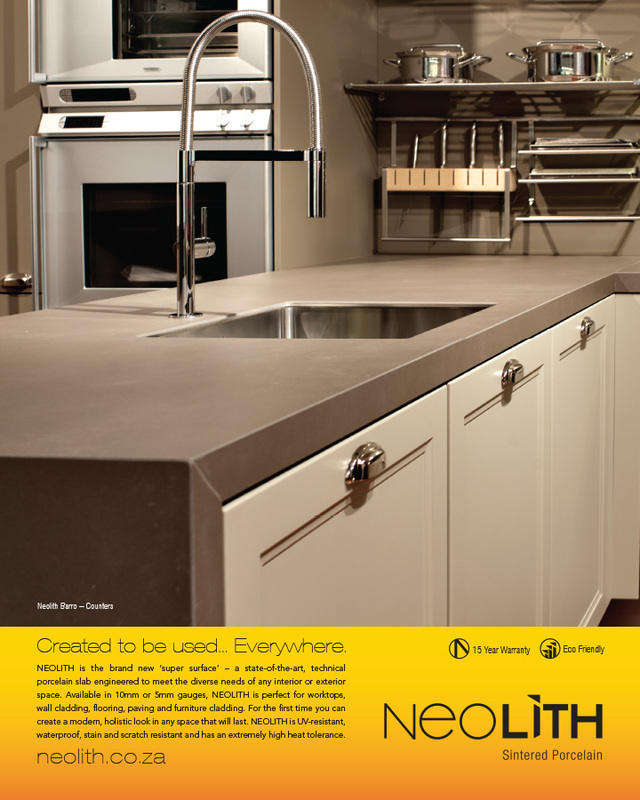 Colin Stephenson has also handled the website design and development for the Neolith website. 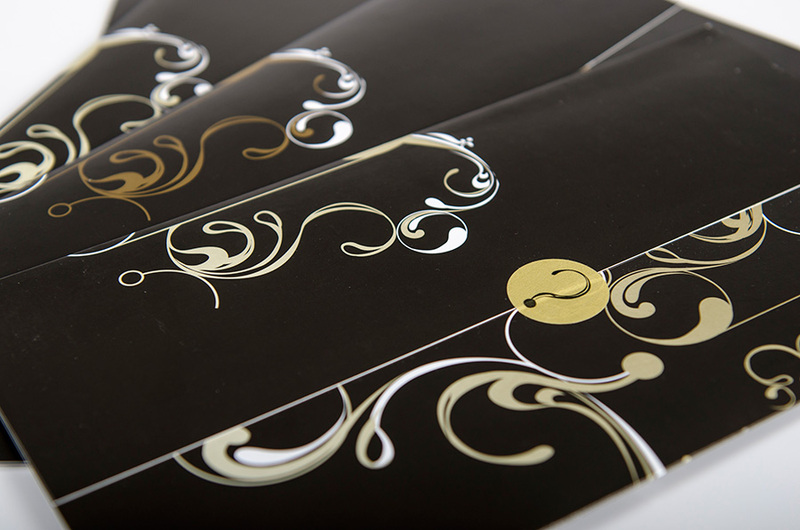 Brand guardianship or brand management is a key feature of how Colin Stephenson Design aim to partner with all of our clients.